trevorboffone | Trevor Boffone, Ph.D. In February 2018, Stages Repertory Theatre celebrated the range of Latina/o voices and stories reflecting the diversity of local Texas communities. 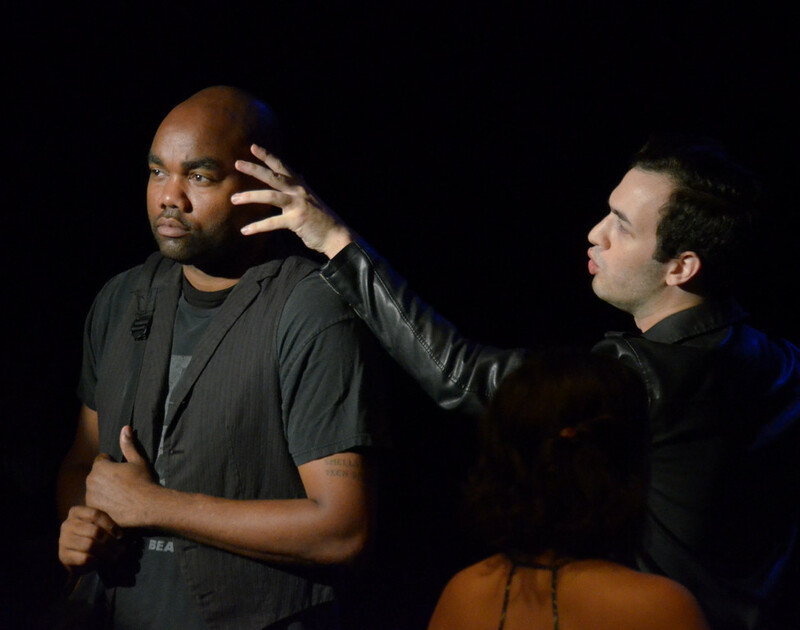 Sin Muros included the World Premiere of Houstonian Josh Inocéncio’s solo show Purple Eyes and developmental workshop readings of new plays by Texas natives Mando Alvarado, Bernardo Cubría, and Tanya Saracho. The festival weekend was filled with public events for audiences and local theatre-makers, including workshops and networking opportunities. Please see the following links to press about the inaugural Sin Muros Festival. The task force is already working on the 2019 festival. We hope you’ll join us in Houston next year! This entry was posted in Uncategorized and tagged Houston, Latina/o Theater, Latinidad, Sin Muros, Stages Repertory Theatre, Texas on February 11, 2018 by trevorboffone. Okay I have to admit something from the start. I was never that great of a student but I always did well on papers and in English class. So I would say my earliest memories go as far back as the 4th or 5th grade. I loved when we would get creative type writing assignments. 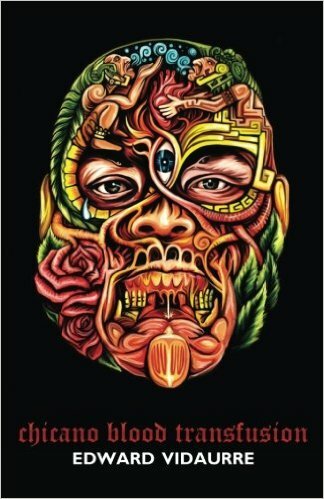 I became a writer when I was 19 and I wanted to write something that chronicled my life while living with diabetes and I started writing it while in school. That play was called Life Inside an Open Kaije (Kaije is pronounced like Cage) and something about that made me realize that this wasn’t a one shot deal this is something I want to do forever. I generally want to develop the arc of the story. The beginning, middle and end and when that is done it’s all about fleshing out the characters as much as possible. Making them real and relatable and someone you want to invest in. Revisions and being objective are essential for a writer you should never ever feel your job is done and you should never be above taking criticism. Tell us about The Unpredictable Times and Reginald: From Baltimore to Billionaire. The Unpredictable Times is a piece I have been working on for well over ten years. It originally started off as a 10 minute that I wrote called “The Next Day” my last year in college. I grew up in Minnesota and it’s a coming of age drama based on five friends from Champlin, Minnesota. They come back home to Champlin for the summer after graduating college to be met by unresolved issues from the past that will challenge their childhood friendships now as adults. To me, I wrote it because I wanted a coming of age piece that anyone no matter what generation (millennial, gen x etc) can relate to when it comes to letting go, forgiving and growing up. I wanted the situation to be relatable while at the same time being something I know so well which is Minnesota. When you grow up in MN it’s like no other place and you truly no matter where you go bring a little bit of the Midwest with you. Reginald: from Baltimore to Billionaire is a piece based on the first African American Billionaire Reginald F. Lewis. I want to start by saying that I wake up every day feeling like the luckiest man alive that I am allowed to write this story. I was working with a wonderful NYC actress named Lora Nicolas. We were at her place one day working on lines and she brought up through a conversation that her uncle is Reginald F. Lewis. My jaw dropped. She responded with “Oh wow you know who he is?” ha yea I did. She knew that I was a writer and that’s when the original idea came to write a play about Reginald. It follows the life of Reginald Lewis from the time he is 13 up until the time he signs the Beatrice Deal which made him become the first black billionaire. You see him go through college and get accepted into Harvard, meet his wonderful lovely wife Loida Nicolas (who I had the pleasure of having dinner with not too long ago and is truly such an amazing and beautiful human being) to his law firm, creating TLC (The Lewis Company) and the Beatrice Deal. When I spoke to Loida I remember saying to her that this isn’t a piece that I want to be told this is a piece that NEEDS to be told. We live in a time where “reality stars” are claiming to want to Make America Great Again. I feel there is truly something inspiring about seeing a man that looks like Reginald live in a time like the 50s and 60s and him having the mindset that this isn’t gonna stop me. I’m gonna keep going no matter what. I have lost many nights of sleep because of this play (not a bad thing at all) because I just sit up and read it and think that this is something that could inspire a lot of people while educating them on who the first really was. The first reading took place August of 2016 and it featured Isaiah Johnson (Who played mister in the revival of The Color Purple and who will be starring in the upcoming tour of Hamilton) as Reginald F. Lewis with Lora Nicolas playing her Aunt Loida Nicolas-Lewis. There was such an amazing visual that I tell Lora about all the time. She was sitting there in the reading and her Aunt was sitting right in front of her with her eyes closed just listening to the play. It was just such an amazing visual that I will remember for the rest of my writing career. I have several projects. 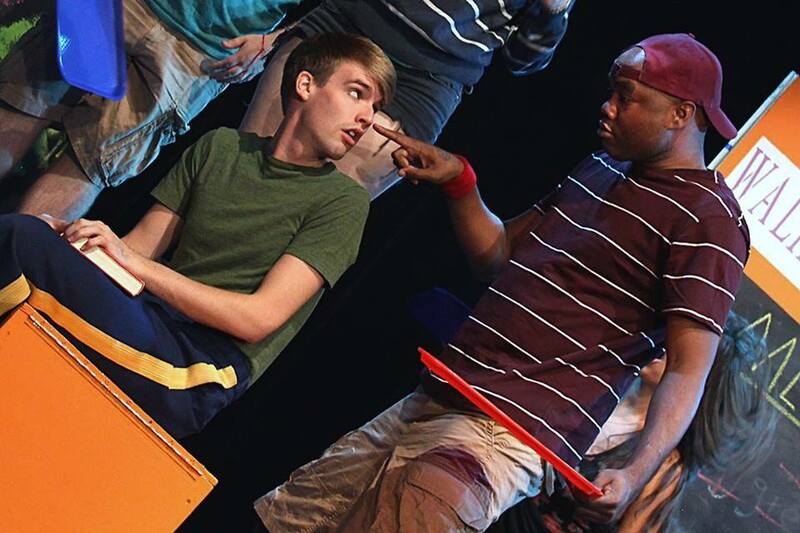 One is a play cycle called “Before it Got Unpredictable: Short Plays by Kevin Ray Johnson” which features three short plays I wrote. It was performed last June and was headlined by Remy Zaken (Original Thea in Spring Awakening on Broadway) and featured an amazing cast. I also am in the beginning process of working on a One-Act play called Obsolete Classified which is one of the heavier pieces I have worked on ever. I am someone who is very passionate about the discussion of mental health and that no one should be afraid to admit that they are not okay. Obsolete Classified follows someone who is wrongfully put in suicide watch at a hospital for 4 days and how those 4 days didn’t help them but only made it worse. Also what I talked about earlier, The Next Day, will be performed at The New York Theater Festival and will featured an amazing cast of two up and coming actors in Michael Coale Grey and Megan Albracht. Show dates are March 7th, 11th and 12th at the Hudson Guild Theatre. What books/plays have had the biggest impact on your trajectory? The Marriage of Bette and Boo and This is our Youth as well as Othello and I know its cliché but I learned so much as a writer from Romeo and Juliet. Tell us about your process of preparing for a new role. I read the script and then I ask myself how I want to take on this role from talking, expressions, mannerisms, to even the way I stand, are they likeable or unlikeable, how do I relate, can I relate and so on. I am not someone who tries to completely go against the grain from what the writer was wanting to get across but I still want to make it my own. When it comes to musicals and if it’s a well known show I try not to listen to the soundtrack. I feel as actors the one thing we should always do is put 100 percent trust in our directors so if we are able to do that then the performance will show. What is your dream role? What do you feel you would bring to it? Oh wow. This is a tough one. Musicals I am gonna say Jake in Sideshow. Plays would definitely be Chad Deity in the Elaborate Entrance of Chad Deity and for Shakespeare I would say Tybalt in Romeo and Juliet and Othello in Othello. For all four roles, I feel I would bring being able to relate and understand them. All four characters (even Tybalt) you can feel sympathy for and even if you don’t agree with how they go about things there truly is a reason why they are and in their own mind they believe what they are doing is right. I find that fascinating as an artist. What have been the defining moments in your career as a theatre artist? Making my Off Broadway debut in The Love Note in 2014, having the honor of playing the role of Dr. Madden/ Dr. Fine in Next to Normal on 4 different occasions, becoming a board member at Rise Above Performing Arts in Florida led by Jacob Ruscoe because being around kids who love theatre is always a gift in itself and most recently performing in Guys and Dolls at The Asolo Repertory Theatre because the entire time I truly didn’t feel worthy. Josh Rhodes is truly one of the greatest directors I truly feel in the entire world and working with him truly was a defining moment in my career. Who has had the biggest impact on your journey so far? Do you have any mentors or heroes in the theatre? My mother for her support and for believing in me. Molly Donnelly, my voice teacher in college who truly was the only one I felt believed in me when even I didn’t believe in me. Isaiah Johnson and Jessica Frances Dukes for being the epitome of what a black artist should be and two people I truly look up to on and off the stage. A wonderful artist named Michael Kevin Callahan who was my dance captain for Guys and Dolls at Asolo Repertory Theatre. He truly deserves all the amazing things coming his way. One of the most talented dancers I have ever seen in my entire life and with all that I can truly say one of the kindest beautiful spirits I have ever encountered. My fiancé Rachael for truly being my rock and making me see things from a different point of view. I truly don’t know what I would do without her. What advice do you have for aspiring theatre artists? Believe in yourself. If you don’t have confidence in yourself you are twice defeated in the race of life. With confidence you have won even before you started. We all get that little negative voice in our head. The sooner you have the strength to block it out the sooner you will become the best performer you can be. Stay in your lane and if things come faster to people around you than it does to you it doesn’t mean that you aren’t talented so don’t give up. Everyone I feel has the ability and capability to make it in this amazing business. The reason why people don’t is because they are not able to stick it out through the tough times especially when it comes to “not being cast” or “being overlooked.” Stick it out. You can do it. I am the biggest wrestling fan and probably Nirvana’s number one fan but lol that’s a story for another day. This entry was posted in Uncategorized and tagged Actors, Artist Profile, Authors, Creative Writing, Interview, Kevin Ray Johnson, Playwrights, Theater, Theatre on February 14, 2017 by trevorboffone. In high school I had a special notebook where I wrote raps and jokes. Those were the two artistic forms of expression where I thought I could really be myself. At that time, I thought poetry sounded a particular way and nothing like me, so I steered clear of that until college. That’s a tough question because I think “becoming” a writer is something I’m constantly doing in a sense. Paying attention to my voice and how it evolves and develops feels like a supernatural thing to me. But to answer your question in a more straightforward way, I really stumbled into it. I didn’t know a world of writing and performance existed for me until college, but once I was introduced to writers that were speaking in a language that was familiar to me everything was a flood. I wrote frantically, filling up notepads, and finding a new thirst for understanding myself and the world around me. I feel like this is something I’m constantly developing a new understanding of: the “what works for me” question. And truthful it changes. I do know I’ve always liked writing very late at night. and I think it has to do with my subconscious taking over. In terms of writing the poem itself, often times the first line of a poem ends up somewhere in the middle of whatever I end up with, so that I’m really filling out what’s missing in the beginning and end. However, if I have a strong first line that captures some kind of unnamable feeling I have, then that’s always a good sign that the writing will flow a lot easier. I hate the feeling that I’m forcing something. It also means that I write way more poems than I end up finishing and I’m okay with that, because I think these freewrites (which I always save) lead me to the poems I really need to be writing. My first manuscript of poetry. I have and it’s quiet frustrating, but it’s always less about the writing itself and more about what I have going on elsewhere in my brain. Nikki Giovanni, Gloria Anzaldúa, Sandra Cisneros, Audre Lorde, and my students. Tell your version of the truth. Write authentically. There are so many reasons to be silent, often times I look into those rooms for what I need to say. Worry less about “how good it is” and more about whether you’re writing honestly. Chances are the more you write about the things you care about, the more the audience will respond to that. 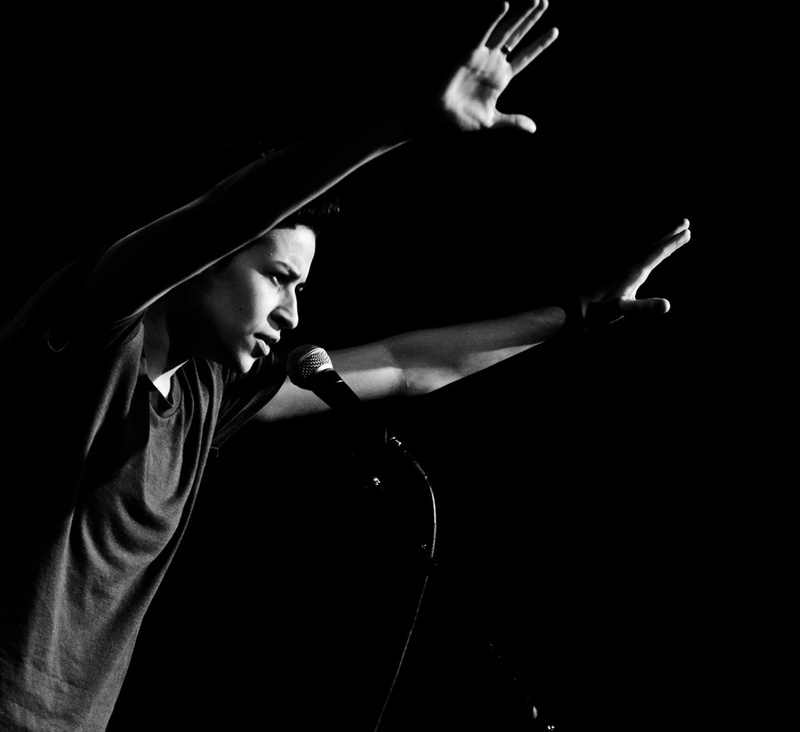 This entry was posted in Uncategorized and tagged Artist Profile, Authors, Creative Writing, Denice Frohman, Interview, Latinidad, Nuestra Palabra, Poetry, Writing on January 4, 2017 by trevorboffone. On the second day of the Latina/o Theatre Commons New York City Regional Convening (#LTCNewYorkCity), attendees chose between three tracks: aesthetics, identity, and leadership. While I recognized the value in each track, I chose leadership. I wanted to learn more about how to become a stronger leader and hear more about other arts leaders’ experiences in their respective communities. In recent years, I’ve come into more leadership roles, but, as expected, I’m not always sure how to best position myself and negotiate my privileges in different spaces. So what did I learn on the leadership track at #LTCNewYorkCity? The leadership track took place in Teatro SEA’s intimate theatre space at The Clemente in the Lower East Side. 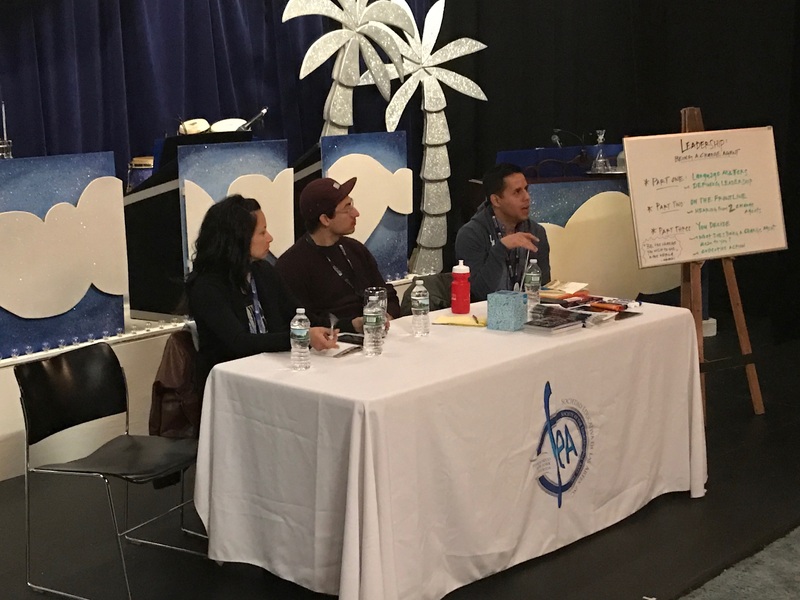 The panel consisted of Jacob Padrón (Artistic Director of The Sol Project), Stephanie Ybarra (Director of Special Artistic Projects at The Public Theater), Nikko Kimzin (NYC-based actor and arts entrepreneur), and Sharifa Johka (FAIR Experience Manager at Oregon Shakespeare Festival). Inspirational, visionary, authenticity, risk taker, driven, political, listener, innovator, strategist, accountable, colleague, conviction, impact, empathy, shared, ingenuity, learner, fearless, courageous, inclusive, not crazy, wholesome/whole, communicator, flexible, all-embracing, curiosity, charismatic, aware, reflective, honest, respectful, passionate. While our group popcorn session certainly tested Padrón and Kimzin’s quick spelling (and we learned that Noe Montez placed 19th in the National Spelling Bee), it was generative to hear what other theatre artists associate with leadership. Next, Padrón asked panelists Ybarra and Johka what being an agent of change means to them. How do they use leadership to tell the types of stories they want to tell? How do they leverage leadership to affect change? What kind of producer do you want to be? Which decision most aligns with my values? Essentially, each leader needs their own personal mission, vision, and values that drive forward their work. In addition, Ybarra prioritizes hiring people who share her values and can take care of the people in the room. Johka doesn’t think about the word “leadership.” In the beginning, she thought that everyone wanted to be a leader and then realized that it is a politic. As a person of color in a primarily White institution, her leadership style is to hold the door open and help situate people in the organization who can become allies later on. Both Ybarra and Johka stressed the importance of cultivating relationships with allies, finding peer groups, and identifying collaborators within and outside of your institution. Group 1: An agent of change in the American theatre understands their power and privilege and uses that purpose to build resources, opportunity, and equity to dismantle white supremacy, isolation, and ignorance by actively organizing and building alliances that come together around core values. Group 2: As agents of change, our mission is to identify the strengths and areas of growth needed in myself in order to actively inspire and challenge the American Theatre to grow and take active responsibility in changing the landscape. Let’s make sure there’s room at the table for those need to be heard and bandwidth to support it. Group 3: An agent of change in the Theatre of the Americas mindfully creates a home with the community where everyone is welcome and able to define their own agency and to make art that reflects, challenges, and helps shape the values and narratives of their community. Group 4: Being an agent of change in the American theatre means localizing, sharing leadership (past, present and future), and being the resource. The conversation then shifted to mentorship. While it was beneficial to hear others comment on their relationships as mentees and mentors, perhaps the most productive portion of the session was the one-on-one mentorship speed-dating. In pairs, we discussed our specific mentorship style. Since my partner was also a professor, we discussed the balance between teaching and mentoring and how those lines can become blurred based on the types of courses we teach. While the leadership track certainly offered its fair share of constructive takeaways, I find that LTC events are best understood by looking at the whole. Leadership was on display throughout the weekend. In addition to Jacob Padrón, Rebecca Martínez and David Mendizábal flexed their leadership muscles time and time again, leading by example and showing attendees what dynamic leadership looks like in real time. The artistic collective of The Sol Project was launching their ambitious initiative the same weekend (congrats to Hilary Bettis and the creative team of Alligator!). LTC Producer Abigail Vega continues to amaze and inspire me to become a better leader. To conclude, there is no conclusion. Becoming a stronger leader is a never-ending process. I still have much to learn and am thankful for events such as #LTCNewYorkCity that give me a crash-course into different ways to become a more effective arts leader. This entry was posted in Uncategorized and tagged #LTCNewYorkCity, Abigail Vega, Cafe Onda, Jacob Padron, Latina/o Theatre Commons, Latino Theatre, Leadership, Sharifa Johka, Stephanie Ybarra, Teatro, The Clemente, Theater on December 15, 2016 by trevorboffone. Last weekend I had the opportunity to see the ambitious and necessary Party People by UNIVERSES at The Public Theater in New York City. 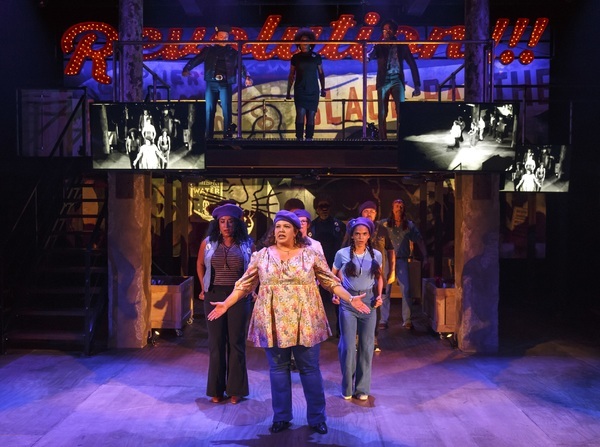 Weaving oral histories of members of the Black Panthers Party and the Young Lords Party with the contemporary sociopolitical climate, Party People is an incredibly powerful multi-sensory and genre-bending performance that left me inspired (Clips here, here, and here). Come to find out, my day was teeming with inspiration, at times from the unlikeliest of places. When I left the theatre, I met with playwright Maria Alexandria Beech on Lafayette St. She had just seen The Best Worst Thing That Ever Could Have Happened, the new documentary about Stephen Sondheim’s Merrily We Roll Along, the 1981 musical that closed after only 16 performances and has since become an iconic Broadway musical. While I was jacked up about Party People, our conversation quickly went to Sondheim (as can happen with two musical theatre nerds). “I love Sondheim. I do,” I confessed to Alex. This shouldn’t have been news, but I felt the need to tell my Twitter bestie (who I was just meeting in person for the first time! )… Sondheim inspires me (and so does Alex). So while my brain has been in theatre overload this week, still living in the powerful performances of Party People and Vietgone, I was also looking forward to seeing Sondheim’s Into the Woods at Houston’s Theatre Under the Stars (TUTS). I was looking to be inspired in a different way. Full disclosure: I’m an Into the Woods junkie. It’s not my favorite Sondheim show; I’m not even sure it would be in my top 5, but I love it. Whether it’s both cast recordings, the filmed Broadway version, the movie, or Fiasco Theater’s masterfully stripped-down Off-Broadway revival, I’ve enjoyed every iteration of the show that I’ve come across. So when TUTS announced their season with Into the Woods filling the slot usually reserved for holiday-themed shows, I marked it on my calendar as a must-see in the Houston theatre season. While I’ve never been one to formally review theatre, I do want to give some takeaways from TUTS’s top-notch production of Into the Woods. Nearly 30 years after it first opened, there are no surprises with Into the Woods. The first act gives us the happily-ever-after of our famed fairytale characters and our lead duo—The Baker and The Baker’s Wife. Act two shows us what happens after the happily-ever-after. In short, happily-ever-after doesn’t exist. At least not as we know it. I must confess: my interest in the show begins to peak once Sondheim begins maiming and killing off characters. I’ve always enjoyed a dark musical and act two is indeed dark. The Baker’s Wife’s Shoes. Confession. Anytime the superb Stephanie Gibson was on stage, I simply could not take my eyes away from her shoes. I couldn’t. When she tried to give Cinderella those blue and yellow shoes, I was a little jealous that she wasn’t gifting them to me. Not that I had a gold slipper or anything, but I digress. All of this is to say that the design team knocked it out of the park. Not only were Ann Hould-Ward’s costumes well-realized across the board, but Kevin Depinet’s scenic design was lush, filling Sarofim Hall in ways I’ve seldom seen. Even so, I had a hard time paying attention to the show whenever the actors were near the lip of the stage because I was afraid they would slide right into the orchestra pit. While the design choice to have the set extend into the pit was visually appealing, it took me out of the show more often than not. Emily Skinner as the Witch. I’ll be honest, it took me some time to warm up to Skinner. And this isn’t entirely Skinner’s fault. One of the issues with iconic characters is that audiences inevitably will associate them with the actor who created the role. In this case, I find it impossible to think of Into the Woods and not think of Bernadette Peters. Once I forgot about Peters, I was able to live in Skinner’s world. In many ways, Skinner breaks the mold for the Witch and the opening of “Last Midnight” is just what I needed last night. By this point Into the Woods has surely been produced every conceivable way, but Robert Longbottom’s direction took the show to new places at times (for me, at least). The show began with a bare stage, save for a costume rack and actors dressed in simple black clothes. They ran to the rack, grabbed their costumes, and the show began. Interesting. Unfortunately, except for a few moments (such as when Cinderella gets her ball gown), this concept wasn’t revisited until the show’s finale. After killing the giant, The Baker, Cinderella, Jack, and Little Red come out in contemporary black clothes. They now seem to be reflecting on not only the story they are in, but the story they have just told. During “Children Will Listen,” the adult actors enter dressed in black while child actors accompany them dressed in miniature versions of the iconic adult costumes. At first, I questioned this choice, but by the end of the song, it put a smile on my face. If anything, I thought it was a beautiful touch to give these kids an opportunity to perform in a professional production of Into the Woods. This entry was posted in Uncategorized and tagged Houston, Into the Woods, Party People, Review, Sondheim, Theater, Theatre, TUTS, UNIVERSES on December 9, 2016 by trevorboffone.